In response to our last Theme demo, Team Cod3rror (a fan of one of our resident Nokia trolls/’critic’) suggested a really good theme for us to try. 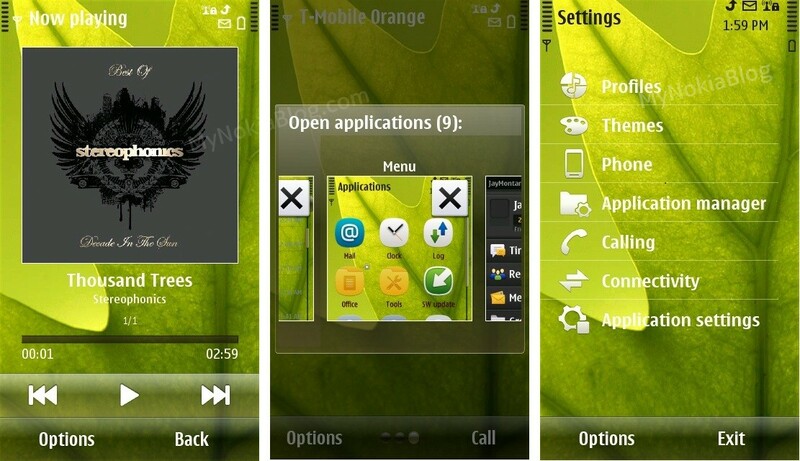 It’s a great looking transparent theme you’ll find installed as “GetUp_by_Manish” by manishgedam. It comes in three variations, one for Belle, one with a leaf background and one plain background. Install the .sis file directly to your phone (preferably Mass Memory, so as not to touch “C” but to prevent the theme disappearing when you pop out your memory card. 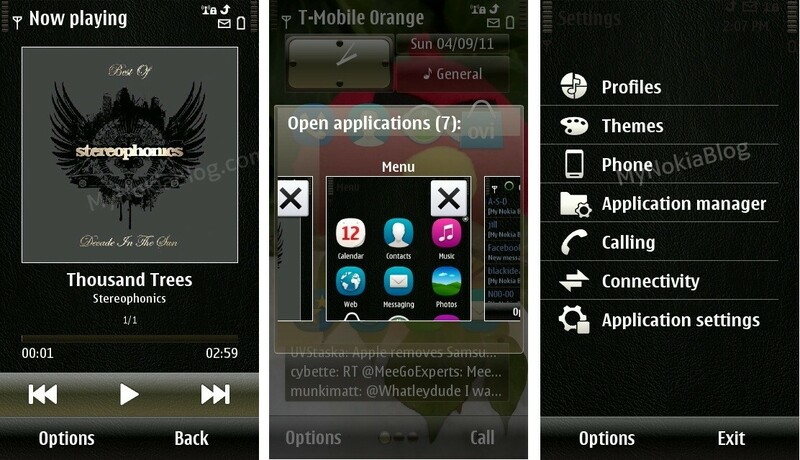 It’s a nice fresh looking theme. You’ll notice that the options tab list is nice and transparent. The wallpaper isn’t though and you’ll be stuck with that leaf. But that’s what the black version is for. It looks very nice everywhere except perhaps in Email view where it’s quite unreadable. The black version looks very nice there. Here’s the black background. Everything shows up well except the signal/battery bars and titles. 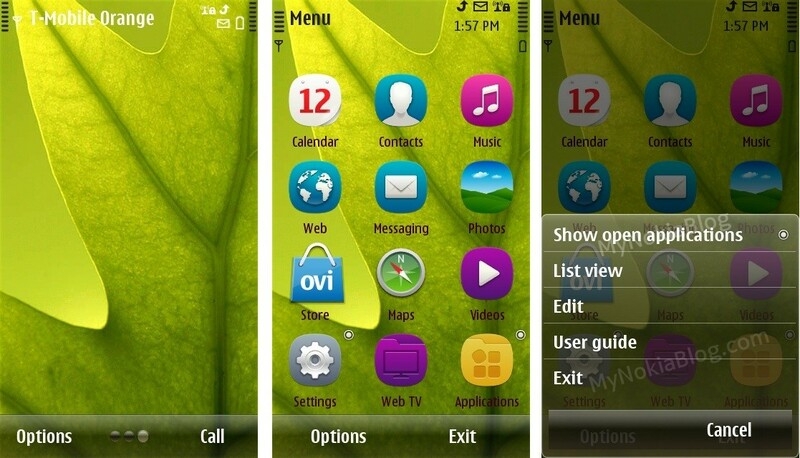 Makes me wish Symbian allowed Maemo style backgrounds – you know, where the homescreen wallpaper is still visible in app menu view. Feel free to suggest other themes for us to showcase. Maybe your own work if you’re a themer or someone else’s theme that you really like.